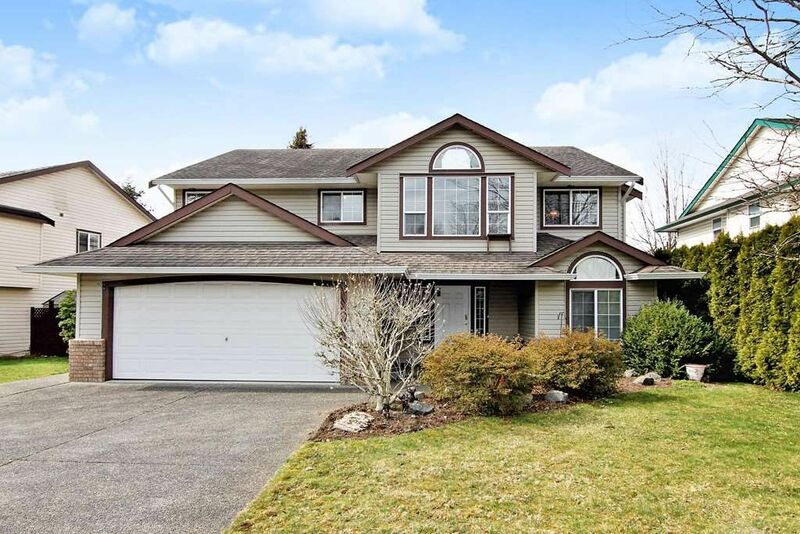 Super family home in East Abbotsford. Fully finished 2700 sq.ft. basement entry (1420 sq.ft. on main, 1280 down). 3 bedrooms on main with 4 pc ensuite. Den/home office off the large welcoming foyer. Basement features a large one bedroom unauthorized accommodation. 2 gas fireplace for those chilly evenings. Covered top deck where you can sit and relax. Fenced private backyard with park behind. Quiet street. Kids can walk to all grades of school form here.